Choose from 8 cross styles or choose Mix & Match. 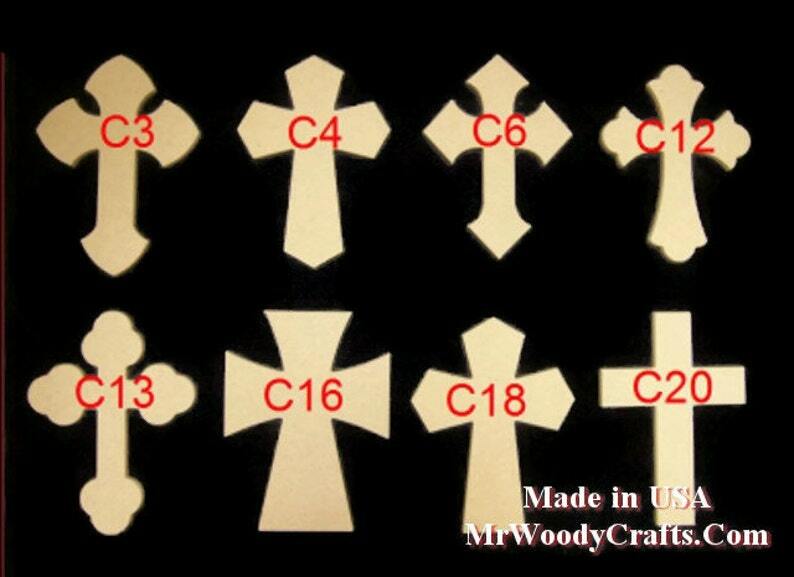 You are buying 10 crosses, please pick 10 from the above pictures, you can pick all the same or mix and match, please list these 10 cross numbers in the buyer notes at check out. If you are using a discount code please enter it at check out, there is no way of going back after check out. Very nice product! Smooth edges and well made! Thank you!